Minister of Health Abdulla Nazim Ibrahim has stated inauguration of Dharumavantha Hospital is being delayed due to some difficulties faced in purchasing and importing machinery from foreign countries. Speaking on a programme aired on PSM News, Health Minister Abdulla Nazim stated it is a responsibility of the administration of President-Elect Ibrahim Mohamed Solih to continue the developmental efforts of the incumbent President Abdulla Yameen Abdul Gayoom without any interruptions. Noting Dharumavantha Hospital and the Tertiary Hospital in Addu City are directly connected to the hopes of Maldivians, Health Minister Nazim said it is important to focus on providing health care services to the full potential of the facilities when formulating policies. 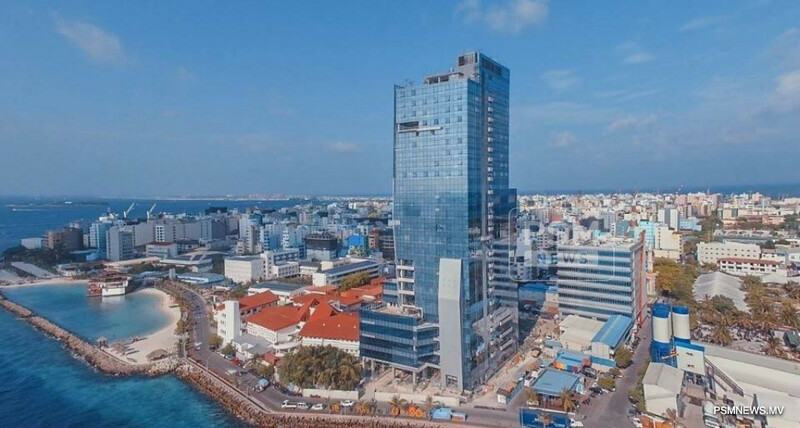 Moreover, the health minister expressed if no interruptions are caused in the current pace of the development of Dharumavantha Hospital, the largest government-owned healthcare facility in Maldives can be inaugurated in the first quarter of next year. Meanwhile, the minister highlighted the tertiary hospital in Addu City will be completed by December this year. Furthermore, the minister expressed sustainable development can be brought to Maldives by focusing on a far-sighted policy and by eliminating foreign influences. He called on the president-elect to work to solve the vulnerable needs of the people.